At Lakeshore RV Center in beautiful Muskegon, Michigan, we pride ourselves on bringing our customers the RV brands they love at wholesale prices. We carry the top manufacturers: Keystone, Heartland, and Forest River. And we have the largest selection of brands in the industry, such as Bighorn, Cougar, Cyclone, Montana, Outback, Raptor, and many more. Our huge inventory and knowledgeable sales people make Lakeshore RV the dealer that Michigan and the nation have grown to love. With personalized service, worldwide delivery available from our door to yours, and the best RV prices in the country, we want to be your go-to RV dealer. 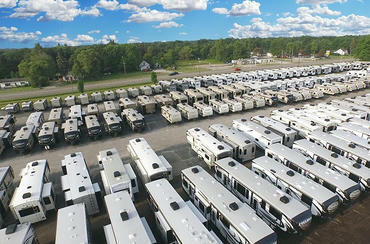 In Michigan and beyond, our goal is to sell you the right RV at the right price. Put our expertise to work for you in helping you find the perfect RV! Call us today or visit us online! You'll be glad you did! We have the largest inventory of the nation’s best-selling brands on the market! Our price match guarantee means you’ll save big! Annual clearance means amazing bargains! Find unbeatable deals in our Clearance section, priced to sell today! We offer fully insured shipping anywhere with live GPS tracking within 24 hours! We can deliver your new RV directly from our store to your door. Our finance experts can get you the lowest rates anywhere! 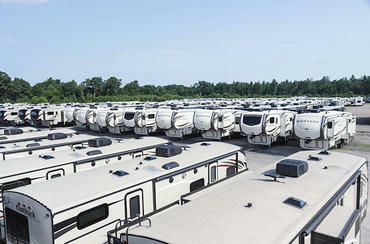 We offer fast and easy financing on every RV model we sell!